Hit Up Old Town Cottonwood! The AZ Culture event held in Old Town resulted in this promotional video for Cottonwood. Take a look and see local businesses featured along with the other points of interest in the area. 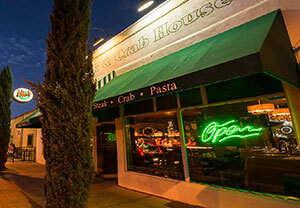 Step through the front door of Nic's Italian Steak and Crab House and you are transported to the atmosphere of the great East Coast Steak & Italian restaurants—polished brass, rich dark woods, plush green upholstery, and a 40’ long mahogany bar that could be a Hollywood movie set. Belly up to the bar for handcrafted cocktails and try not to miss Martini Monday—choose any one of our special Martinis for only $3.50! Cottonwood is "A Culinary Hot Spot"! Roger Naylor, a local travel and entertainment writer, wrote an article talking about dining in Cottonwood featuring several local restaurants becoming known for their fine fare. "Cottonwood has grown into a destination for wine lovers. Tasting rooms line Main Street in Old Town, housed in Prohibition-era buildings and fronted by covered sidewalks. So it’s not surprising that terrific restaurants have sprung up as well." 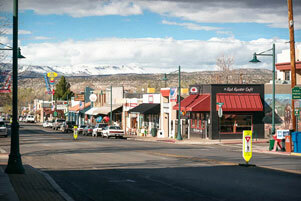 The Old Town Association is proud to partner with the Cottonwood Chamber of Commerce.